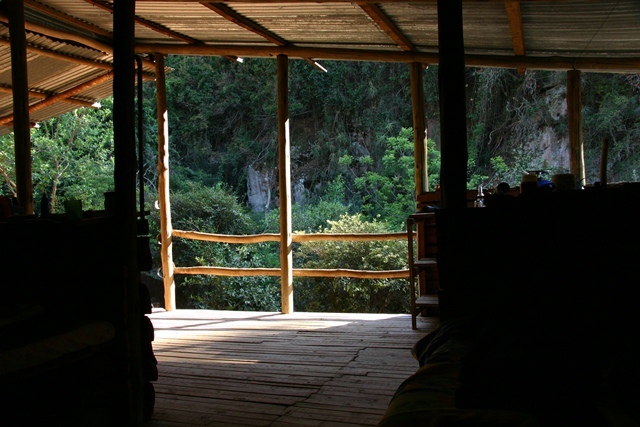 BOTTLEBRUSH HAVEN, situated alongside the Schoonspruit Stream, is slightly primitive, but very convenient, accommodating minimum 6 adults, maximum 16 people and minimum 2 nights. There are three different sleeping rooms, sleeping 6, 6 and 4 people. 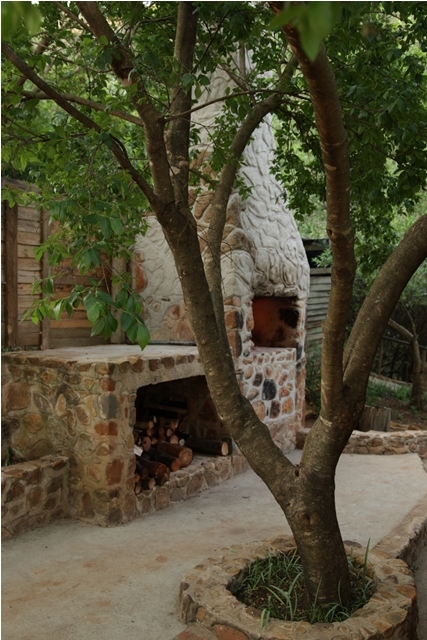 The kitchen is very spacious and convenient with an under-cover 'braai' in case of rain. There is also an outdoor braai under the clear skies and stars. Bottlebrush Haven's ablution has two spacious double showers, an unique zinc tub (don't forget the bubble bath!) and two very spacious flush toilets which is also suitable for dressing rooms. We supply matresses with clean covers, BUT you need to bring your own bedding i.e. sleeping bag or duvet or blankets and pillows, whichever is suitable for you. Bottlebrush Haven can be wheelchair friendly on request. When notified in advance we can place the portable ramps in position before arrival. 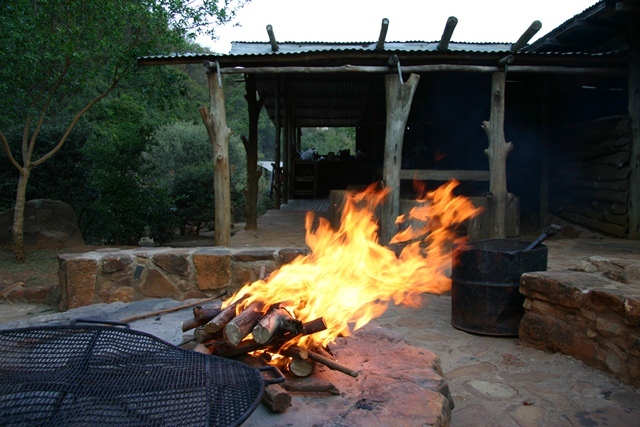 Ample fire wood is supplied for braai and the "donkey" geyser. If more wood is required it can be bought @ R30 a bundle. 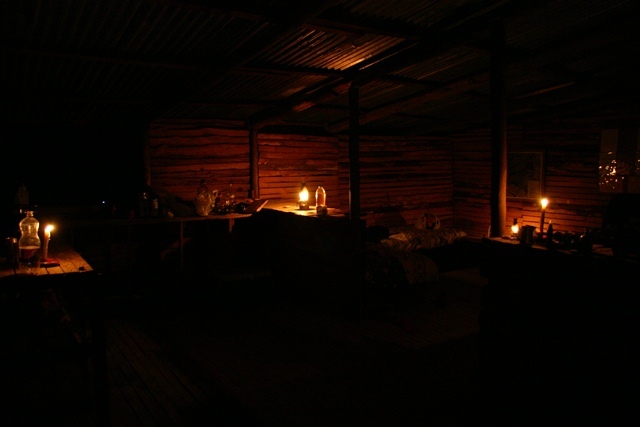 Lanterns and candles are supplied as there is no electricity. It is advisable to bring your own extra lighting. Don't forget your torch! All the crystal clear water on the farm is drinkable. No room service is provided in any of the accommodation.